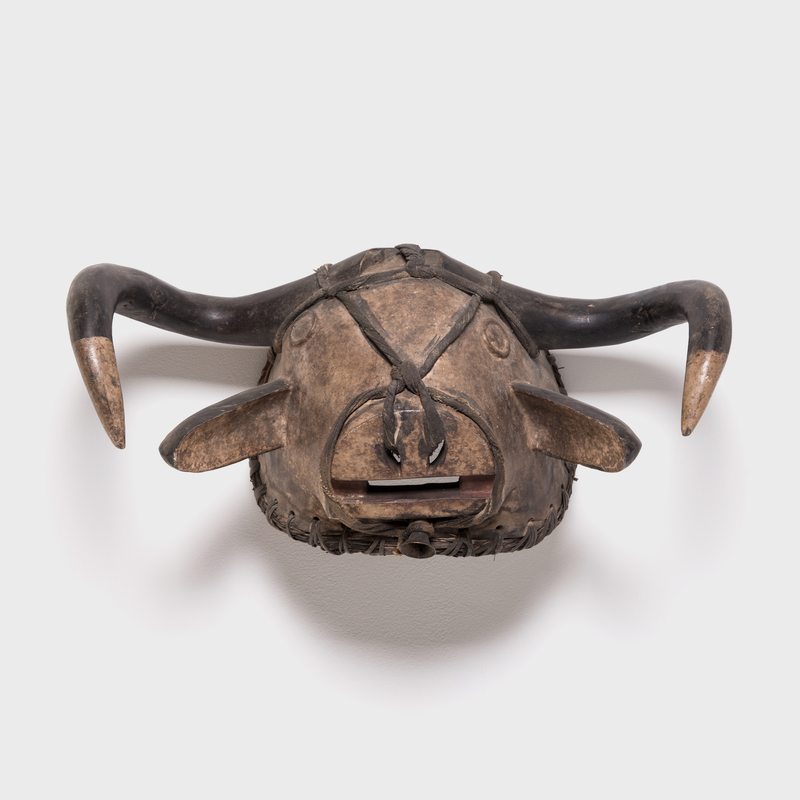 W: 21.75" D: 9.5" H: 12.0"
After oxen were introduced to Guinea Bissau by Portuguese sailors in the 15th century, its strength, aggression, and nobility quickly became integrated into their initiation rituals. 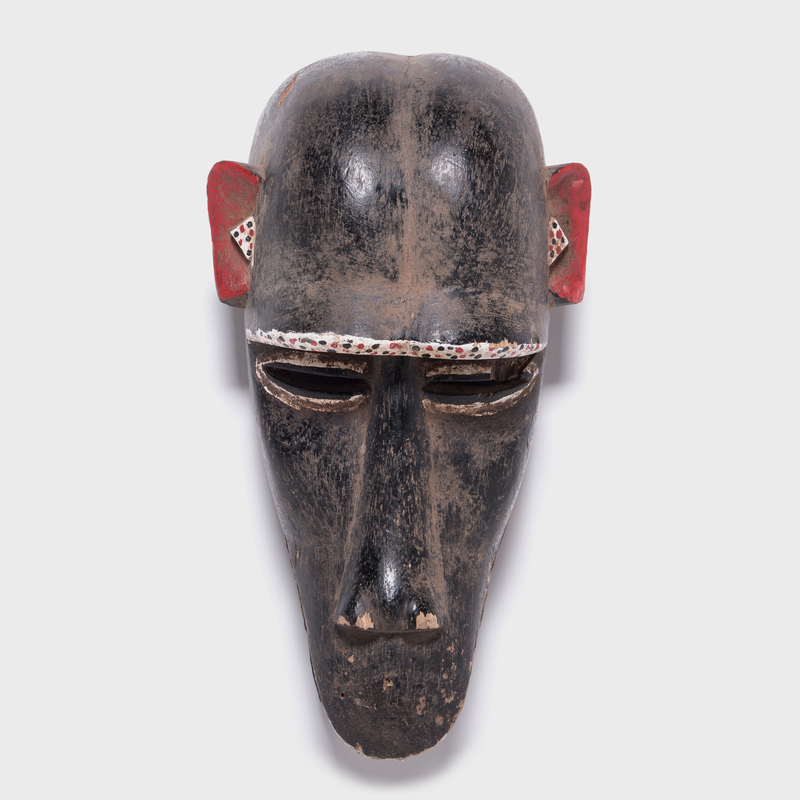 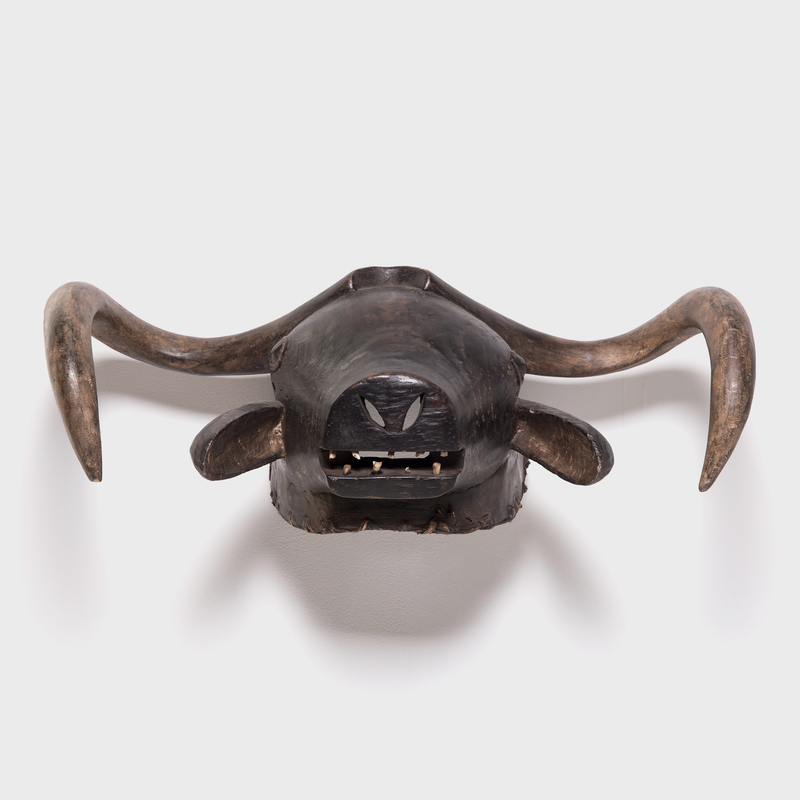 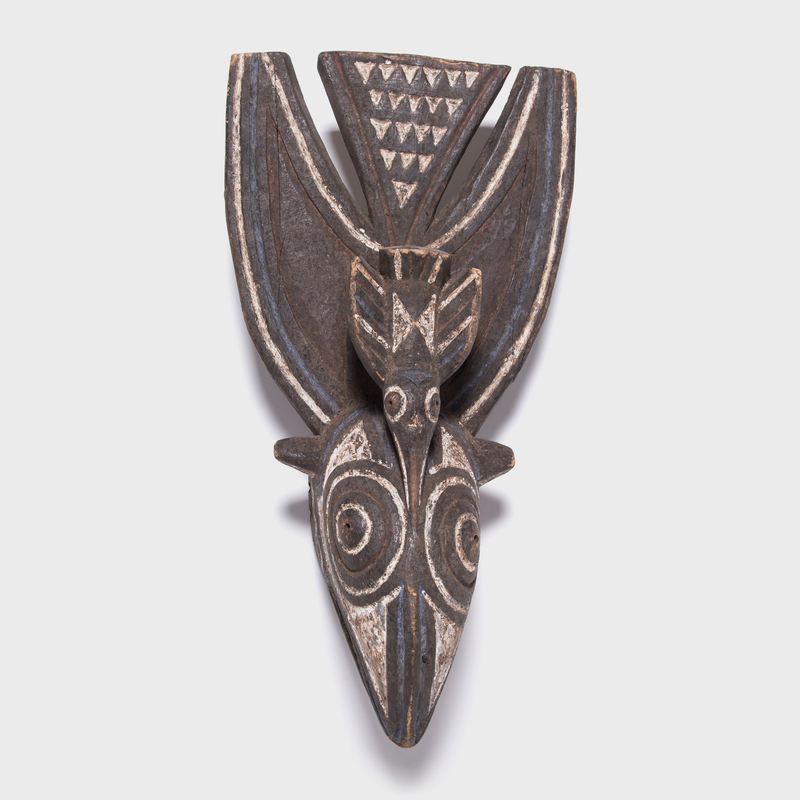 The organic curves and expressive features of this mask helped young men take on the mantle of full adulthood by immersing them in the character of the ox. 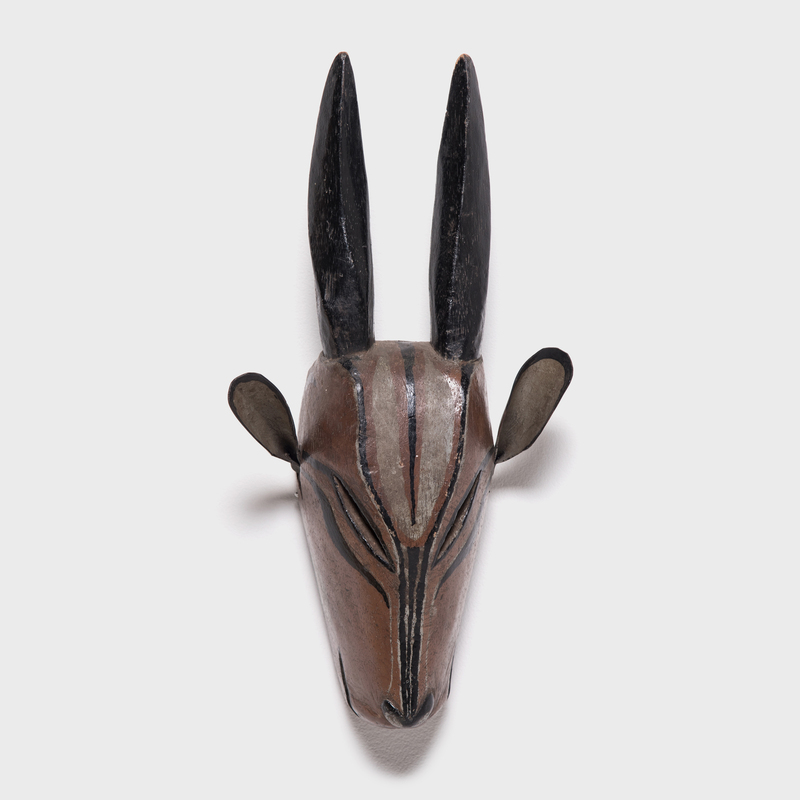 The richness of the wood and extension of the horns leaves negative space and shadow to fill out the striking form of this sculptural object.